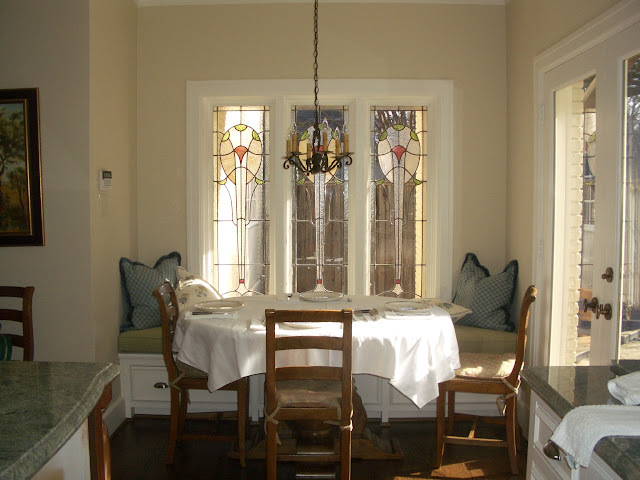 From A: There were two sets of original stain glass windows from when the house was built. One set they broke apart and made into cabinets and the other set they physically removed from one side of the house and put it on the other side where the table is located (they built that little nook which looks onto a small patio). 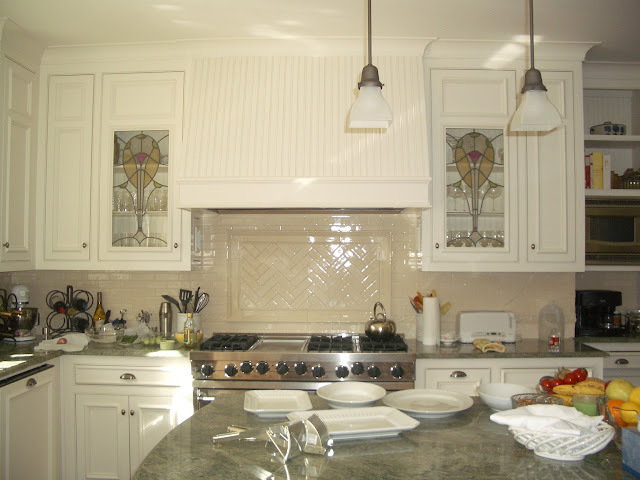 Love the stained glass window cabinets! 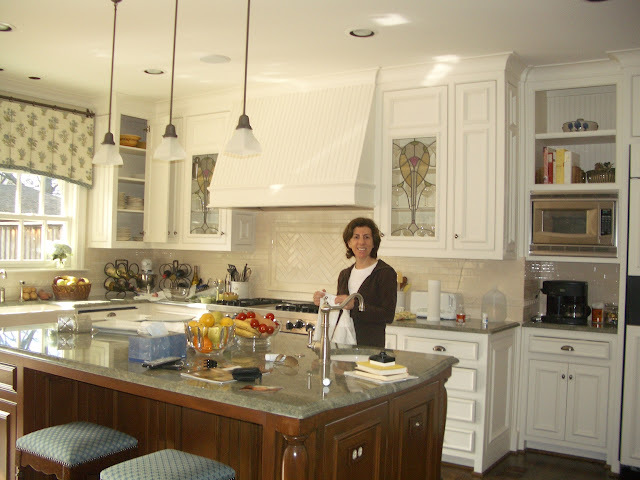 Great combination of a new, modern kitchen but with historic charm. You know I'm a sucker for banquette seating!! How adorable is she?! And I love the coffee nook. Great overview. 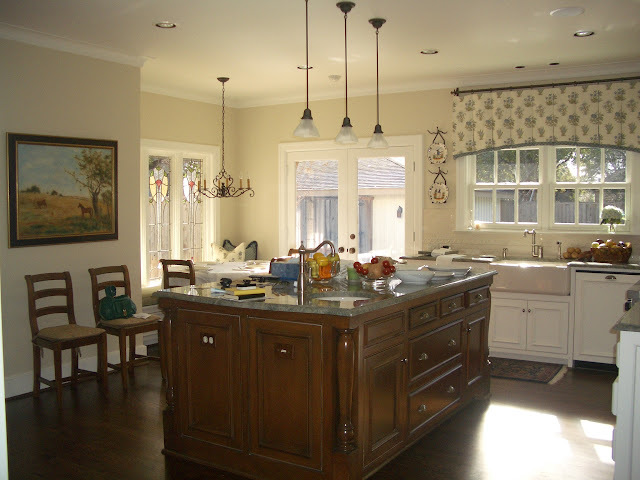 Love the farmhouse sink. Thanks A for sharing these! And thanks to your sweet mom!